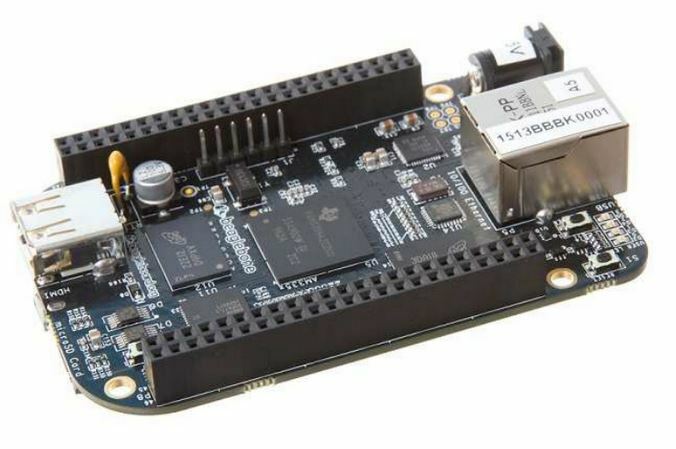 HI has extensive experience with both the BeagleBone Black (BBB) and the smaller Pocket Beagle (PB) platform. We often leverage the platform in our projects. 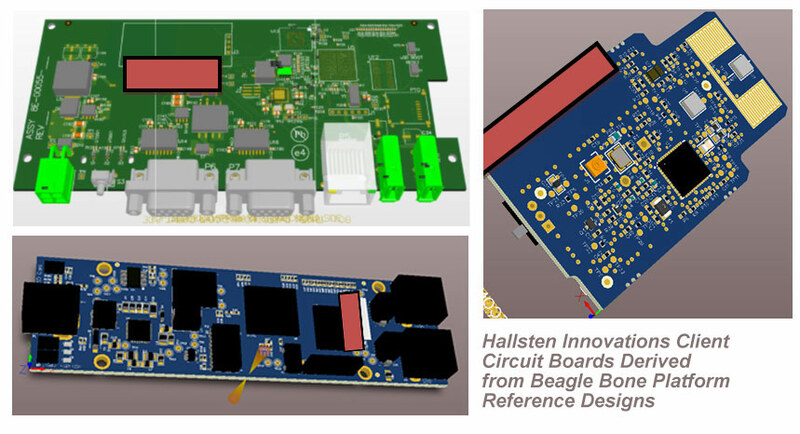 Entirely open source (both hardware and software unlike the Raspberry Pi) the Beagle Bone platform is supported by strong Texas Instruments documentation. This platform is a stepping stone to commercialization that leverages many of the speed to market advantages of the Raspberry Pi. 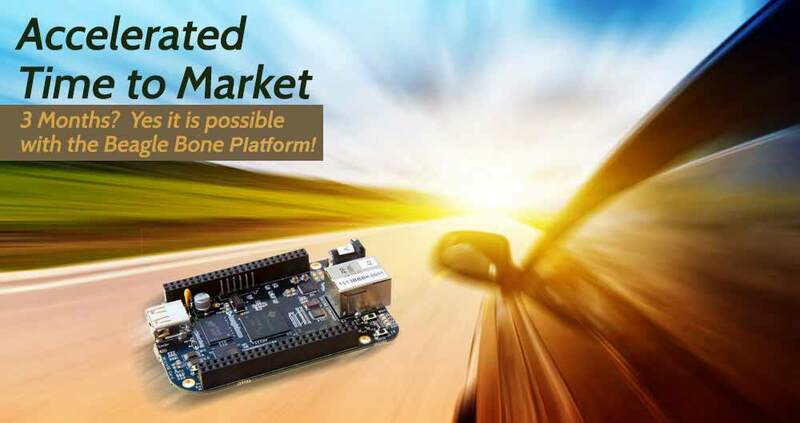 The Beagle Bone platform is supported by embedded Linux®. This high level of integration increases performance, while lowering system power consumption and cost. The Beagle Bone Black (BBB) is a compact (only 3.4in x 2.1in), cost-effective, and powerful platform for developing high performance applications including Internet of Things (IoT) gateways and routers, data acquisition, imaging, medical and industrial control. At the heart of the BBB is the Texas Instruments Sitara AM3358 processor with an ARM® Cortex A8 core. 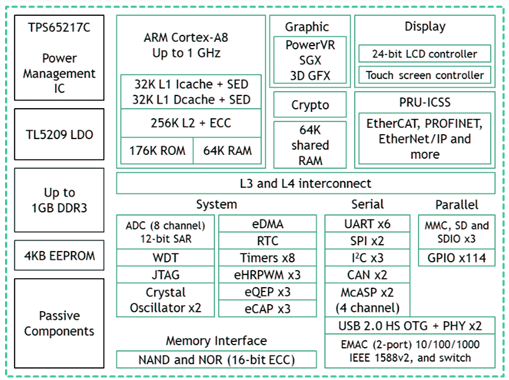 This processor is a highly integrated System on a Chip (SoC) with core speeds up to 1.0GHz, a flash controller (4GB), DDR3 RAM controller (512MB), and a suite of peripherals Ethernet, USB, HDMI, UART directly accessible. The PocketBeagle (PB) is used as the heart of many systems managing sensor data acquisition and communication. While we often design custom circuitry based on the open source Pocket Beagle schematic, we have found applications to use the PocketBeagle directly with only secondary circuits supplementals with a second connected circuit board. The PB has numerous interfaces, UART, CAN, SPI, USB, I2C, Analog inputs, thereby allowing HI enormous flexibility in choosing the best sensors for the application. 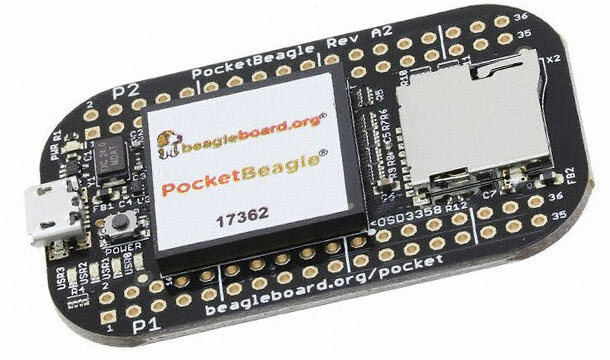 The Beagle Bone Platform, (whether it be the Black, the Pocket, the Green, or whatever color is next) is an open-source hardware AND software platform. Today you can PURCHASE Beagle Bone boards like those shown above (which is what we do for rapid prototyping). But more importantly, you developers like Hallsten Innovations can use those existing open source schematics and firmware to spin a circuit board customized for a specific application. This re-spin methodology fits extremely well with our rapid prototyping model, but offers none of the licensing/availability down sides of the hobbyists' favorite Raspberry Pi. Hallsten Innovations has extensive experience with embedded operating systems and firmware. Our stock configurations of operating systems and firmware can be customized to meet your particular needs very quickly.